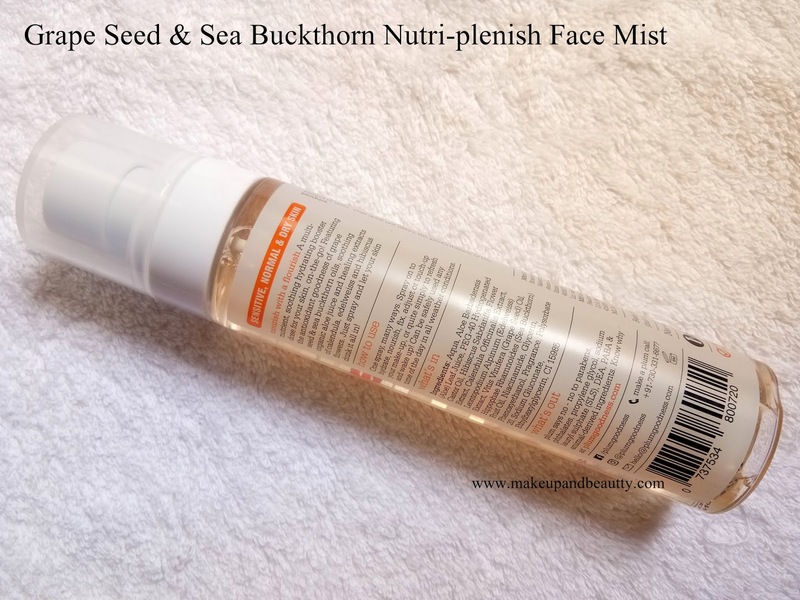 Talking about mists in my last post (read here) actually reminds me to review two mists that I am loving recently and using it till now from the date of its launch. 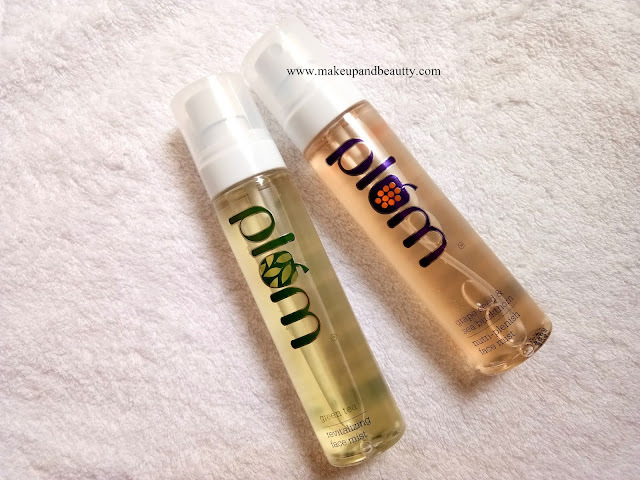 Plum Goodness launched two facial Mists which are vegan & cruelty free. Price:- Rs. 360/- for 100ml each. 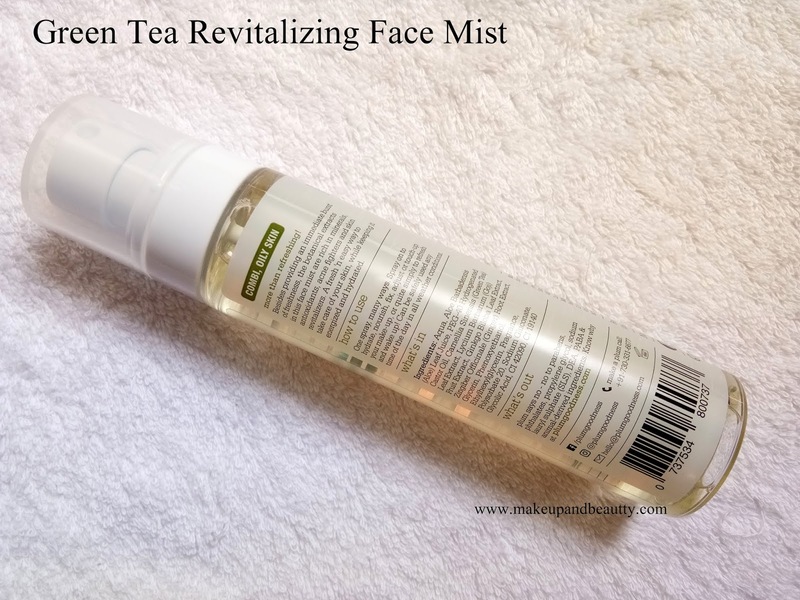 Specifically made for combination and oily skin, this revitalizing face mist is infused with green tea, aloe juice, ginger root, goji berry and ginkgo biloba extracts - rich in antioxidants, minerals and acne-fighting compounds. Aloe juice is just great to calm your skin after sun exposure, and our signature refreshing green-tea fragrance is sheer goodness on the go! All ingredients chosen are non-sticky and non-comedogenic (no clogged pores). And as always, this Plum is 100% vegan, paraben-free, phthalate-free, and not tested on animals. Great for: Normal, oily and combination skin types, even those with acne. Light, but rich in 200 different phytochemicals that calm, protect and soothe skin - particularly after sun exposure. Antioxidant and anti-inflammatory, the plant compounds in ginger root are proven to protect skin from degradation after exposure to the elements. Spray on to hydrate, nourish, fix, adjust or touch-up your makeup, or quite simply to refresh and wake up! Hold the spray bottle about 6-8 inches away from your face and simply spritz the mist 2-3 times. Air dry for a minute & feel your skin absorb all the goodness! Can be safely used at any time of day in all weather conditions. Skin feeling tired and in need of hydration? Want a burst of freshness and energy for skin? This beautifully fragranced mist is your "nutri-plenish" companion, helping replenish lost nutrients to your skin - instantly! We've carefully solubilized grape seed and sea buckthorn oils to give you the nourishment and hydration minus the oiliness. And added aloe juice to help calm sun-exposed skin. Plus floral extracts of calendula, hibiscus and edelweiss to perk up your skin from within. In a convenient, travel-friendly spray pack! And as always, this Plum is 100% vegan, paraben-free, phthalate-free, and not tested on animals. Great for: Sensitive, Normal & Dry skin types. Not recommended for Acne-prone, combination skin. Both the mists come in a transparent plastic spray bottle. The bottle is really sturdy and the pump is really good quality (at least they never stop working in the middle of the product). 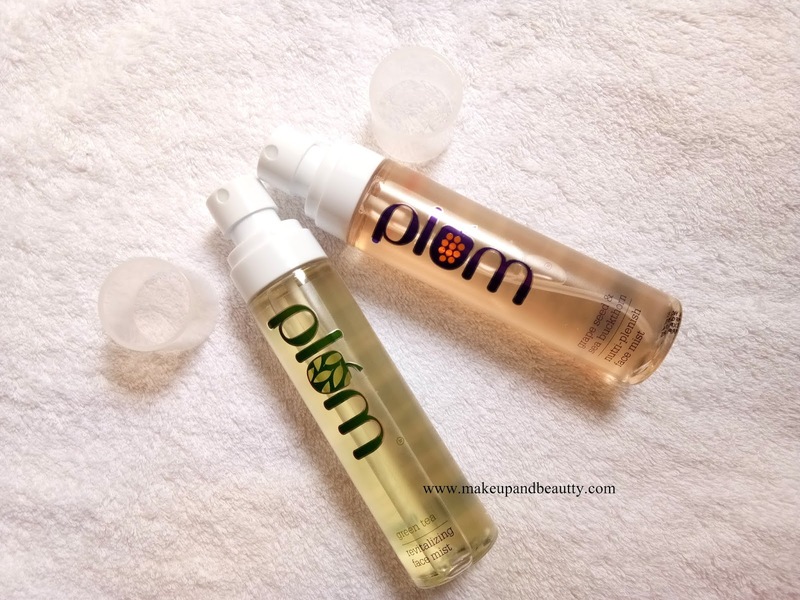 Both the mists are non-greasy, have mild fragrance and easily absorbs in the skin. The mists are really good to freshen up your skin anytime, anywhere. The continuous spray bottle packaging actually sprinkle the mists equally on all over your face. I use these mists to soothe my skin. I use it before I apply facial oil (reviewed here) or night cream on my face. I use it again at the end of my night skincare routine so that everything absorbs fast. The mists are one of best products of Plum at an affordable price. I really love them and they last almost 2-3 months if used regularly (varies on usage). So, that's all for today. See you in my next posts. Do give a try. I think you gonna love it.